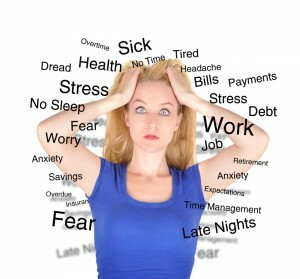 In today’s hectic world most of us experience stress and anxiety at some point of our lives . These emotions are the way body and mind responds to a certain stimulus or event. They are normal and sometimes even helpful, but they can become a problem too. When they start to affect our quality of life, they are no longer a casual emotion but a state of being. These emotional symptoms can have an effect on mood. For example, we can have an unrealistic view of problems, see things in a very black and white manner or have a negative state of mind. Anxiety related disorders are the majority of diagnosed mental illnesses. Conventional anxiety treatments include: psychological therapies like cognitive behavioural therapy (CBT) and applied relaxation, and medication such as antidepressants and benzodiazepines. All the drug treatments come with side effects. Acupuncture stimulates the nervous system and cause the release of neurochemical messenger molecules. The resulting biochemical changes influence the body’s homeostatic mechanisms, thus promoting physical and emotional well-being. Acupuncture can be safely combined with conventional treatments such as medication or psychological therapy, enhancing their beneficial effects and reducing unwanted side-effects . During years of my practice in Ireland and China I have treated many patients with stress and anxiety symptoms. Recently I see more and more young adults who are under extreme pressure, often work related. They come to me with various conditions, which are all stress-induced. Being and acupuncturist and Tui Na practitioner I have developed my unique treatment – acupuncture with shoulders, neck and head massage, which has proven to help my patients to relieve anxiety symptoms. They report being relaxed, grounded, invigorated after the treatment.